New Delhi : Prime Minister Narendra Modi to leave for France today to take part in the Climate Conference in Paris. 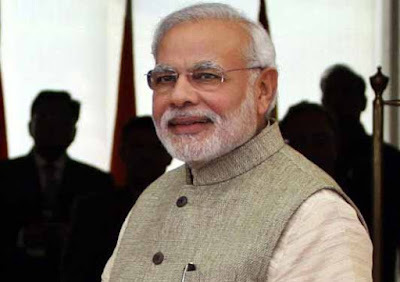 During his two-day visit, the Prime Minister will deliver a speech on India's Strategy to contain global warming on Monday at the Leaders Event of the conference. The Prime Minister is also expected to speak on steps taken by India to reduce its carbon footprint and on serious consequences of the global warming. According to reports, an international agreement on climate change is likely to emerge from the 21st Conference of Parties of United Nations Framework Convention on Climate Change in Paris. The aim of the conference is to build an alliance capable of keeping the average global temperature rise below 2° Celsius compared to pre-industrial levels and adapt our societies to existing disruption. Prime Minister Modi has always taken a strong stand on climate issues. He has time and again urged the leading nations in the world to take steps to curb emissions in order to give clean environment to future generations.